25 Places to Visit in Armenia - Historical Sights, Natural Wonders, and More! 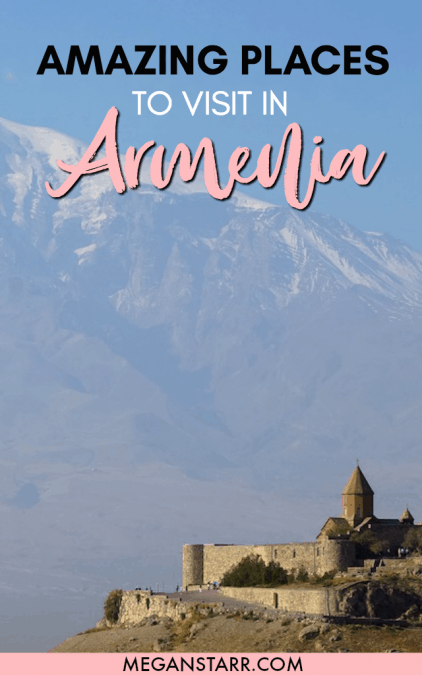 25 Places to Visit in Armenia – Historical Sights, Natural Wonders, and More! It is no secret that Armenia is one of my favorite countries. Back when I first took my first trip there in 2013, I raved about it to people but most people hushed me and told me they preferred to the country to Armenia’s north (take mind most people had never even made it to Armenia). There are so many places to visit in Armenia that it kind of intimidates me. Mostly because I struggle to leave Yerevan as I feel so comfortable there. As a result, I have recruited other travelers and bloggers to help me put together a list of some of the best places to visit in Armenia. This is by no means conclusive… and I hope to add to it when I am back in the country in two months. 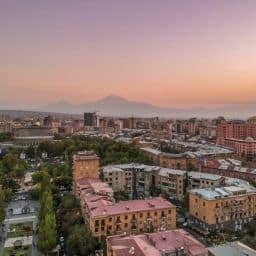 Please drop your favorite place in Armenia in the comments so I can add it to my upcoming itinerary! Armenia has several worthy cities, villages, and provinces to visit throughout the country. The list below is some of the most popular places and I hope to add some off the path places in the future. 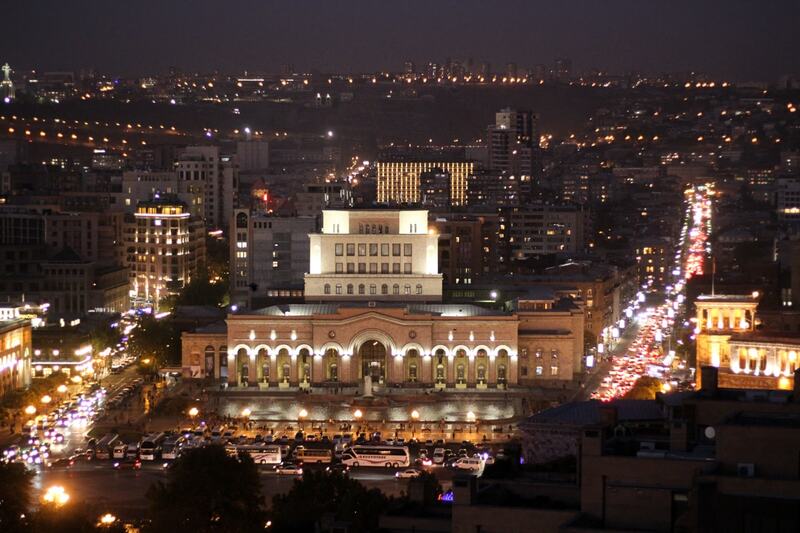 The Armenian capital city of Yerevan is easily one of my favorite cities in the world. I first traveled to Yerevan in 2013 and I fell in love with the city the moment I stepped foot in it. 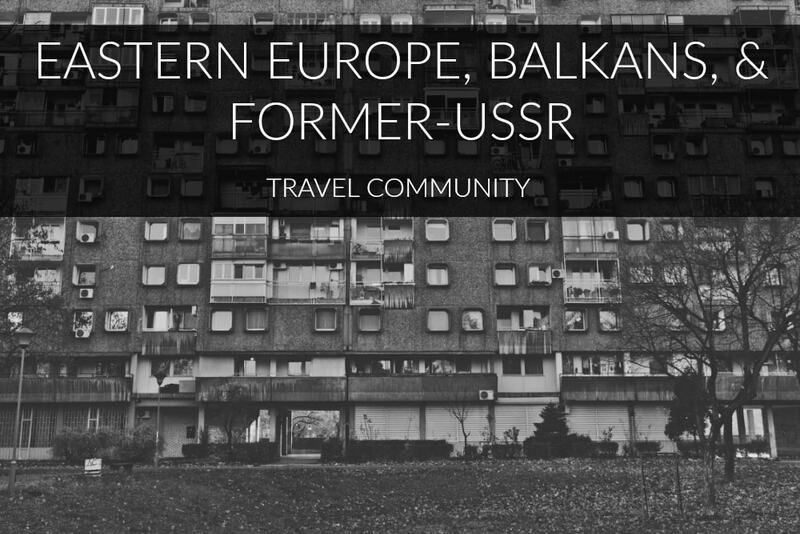 The city is rich with history, culture, and hospitality. In fact, nearly 100 countries later, I still refer to Yerevan as the friendliest city I have ever been to. Aside from the mentions above, some of my favorite things about the Armenian capital are the pinkish architecture, cafe culture, and the endless amounts of things to do in Yerevan. 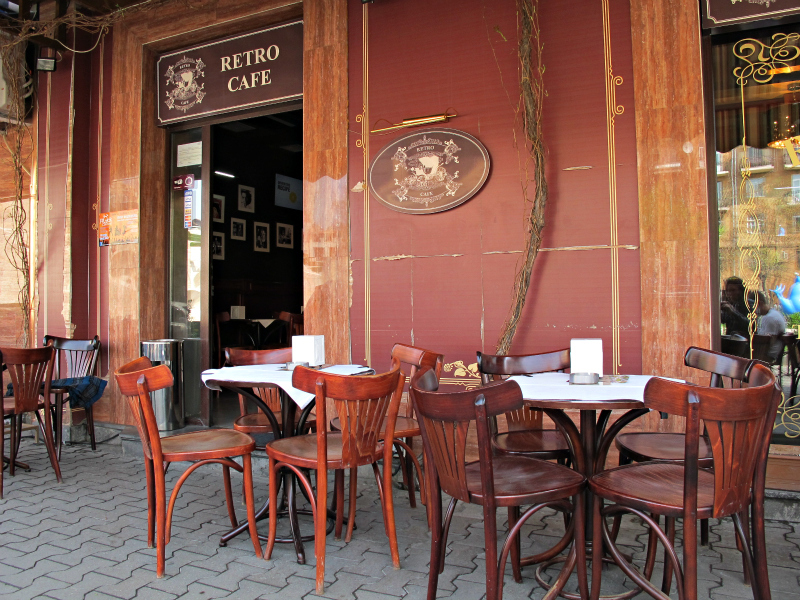 New bars and restaurants in Yerevan are constantly opening their doors but the refined charm still stays in place. The residents are cultured and into the arts and it shows in the number of activities available to residents and travelers on a consistent basis. Perhaps one of my favorite things about Yerevan is the fact that it is an organized city compared to other cities in the region. As someone with anxiety, I never feel overwhelmed there and crossing the street doesn’t cause me to have a panic attack. 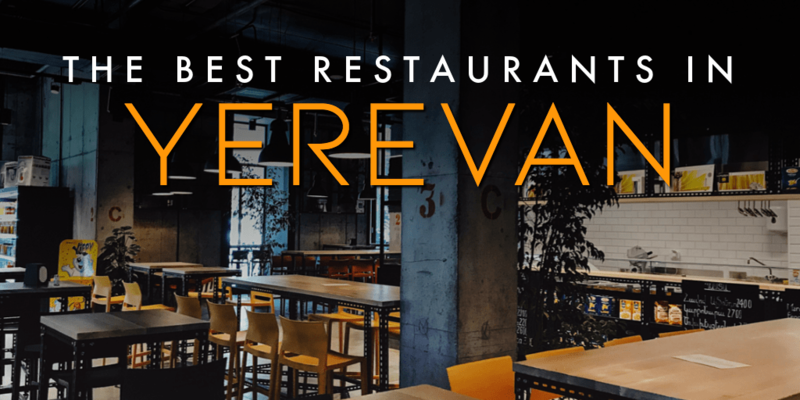 While there is still a ways to go with certain matters, Yerevan’s demeanor and aura remind me of certain cities in Western Europe, albeit with far better food. 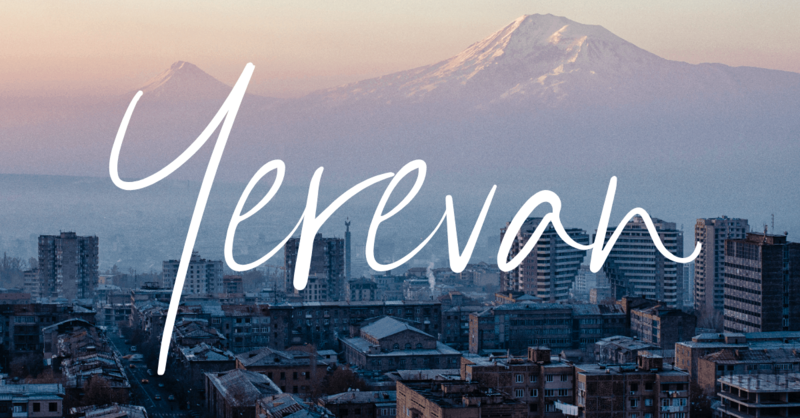 Click here for my recommended itinerary for spending two days in Yerevan. Steeped in history and disaster, Gyumri doesn’t get the attention it deserves. 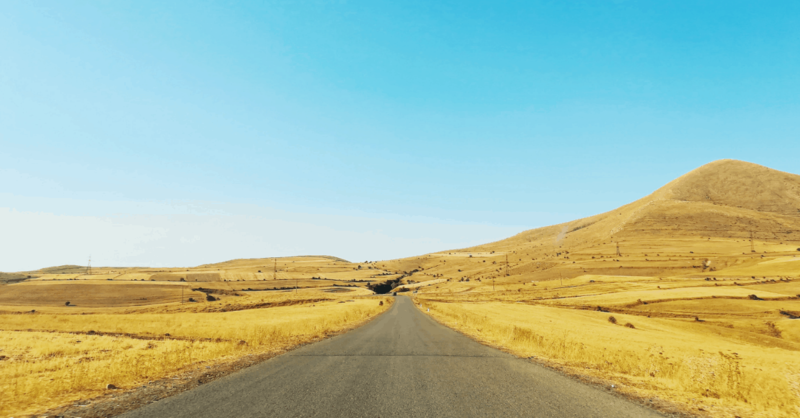 Relatively remote and still recovering from the devastating 1988 earthquake, most travelers opt to simply bypass Gyumri even though it’s Armenia’s second largest city. However, if you want to contribute to Gyumri’s eventual resurgence—or make your way to/from Georgia—consider visiting Gyumri for at least a day or two. The area around Gyumri has been inhabited since 3rd century BC… at least. Though very little remains from this period, history buffs will have a field day with the more recent historical sights in the area. One example is Marmashen Monastery, a lonely 10th-century monastery a little outside of the city, which makes for a perfect half-day trip. Goris is a town located in the southern Armenian province of Syunik. The city is renowned for its natural beauty and history. The city was planned by a German architect and was the first planned city in the Caucasus during the Russian Empire. The city often brings to mind images of the caves that people used to live in, including my grandfather. These caves are called Old Goris, or Kores. Echmiadzin is the equivalent of the Vatican for the Armenian Apostolic Church. 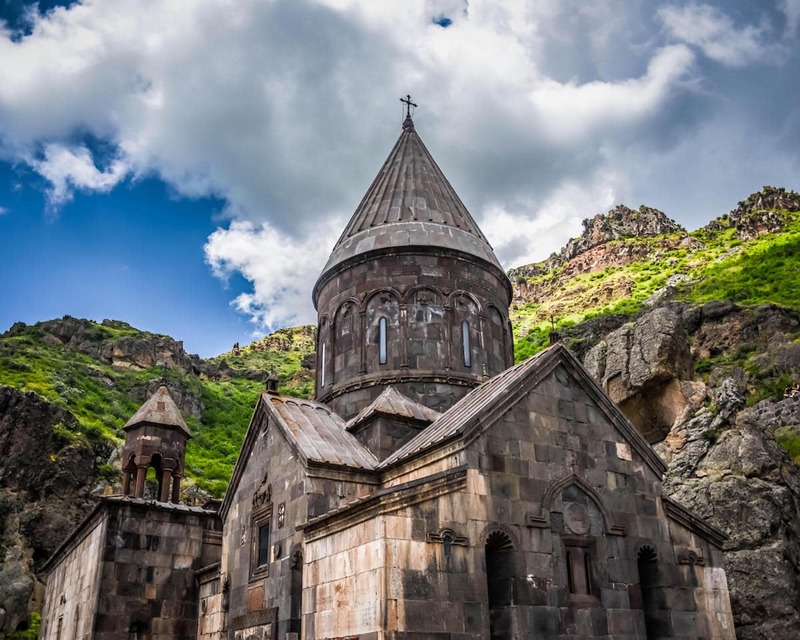 Armenia is very proud to be the first nation to adopt Christianity as the state religion. Today, over 90% of the residents are of the Christian religion. 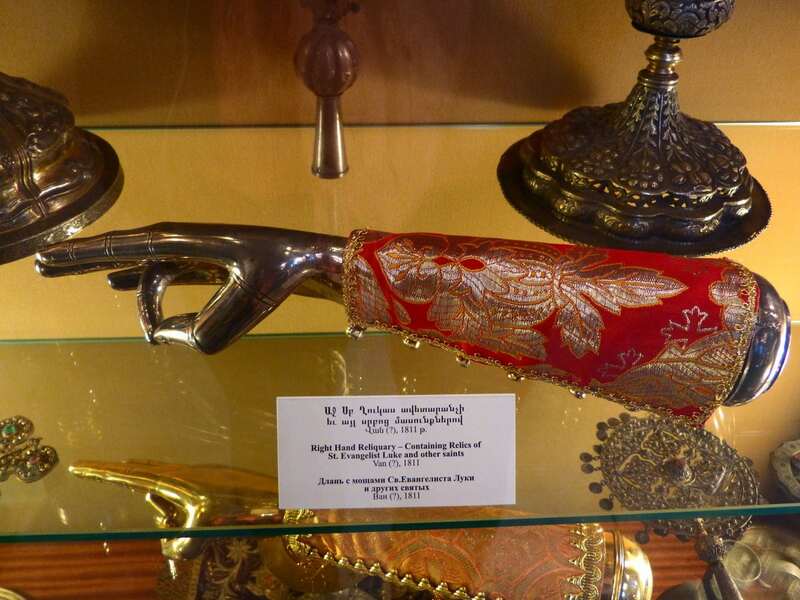 Echmiadzin, also called Vagharshapat, is the center of the religion. The priests come to study here. It’s also a UNESCO site. The main church contains the Treasury which holds the most valuable relics owned by the Armenian church. Amongst the items on display was the spear that pierced Jesus’ side, a bit of Noah’s Ark, illuminated bibles, and two wall hangings that had small bits of the cross. There are several other churches in the area of Echmiadzin, including 2 churches named for women and the ruined Zvartnots Cathedral. Not many tourists take the time to see Nagorno-Karabakh when they’re visiting Armenia but it is a truly stunning area and has a very recent turbulent history to learn about. The hilltop town of Shushi is very small but is home to some interesting sights such as the Yukhari Govhar Agha Mosque which is currently under reconstruction and the beautifully restored Ghazanchetsots Cathedral. Shushi must be in the running for ‘town most densely populated with museums’ because within this tiny town you’ll find a Money Museum, Art Museum, Carpet Museum, History Museum and Geological Museum. The History Museum is a great introduction to the conflicts in the area and there are English speaking guides who will take you around the exhibits. There is no cost for entrance or guide. Nagorno-Karabakh is the forgotten land that’s been the centre of a frozen conflict between Armenia and Azerbaijan since the collapse of the Soviet Union. It’s technically part of Azerbaijan, but actually, the only way to visit this unrecognised country, and the only way to get its capital Stepanakert is by land from Armenia. 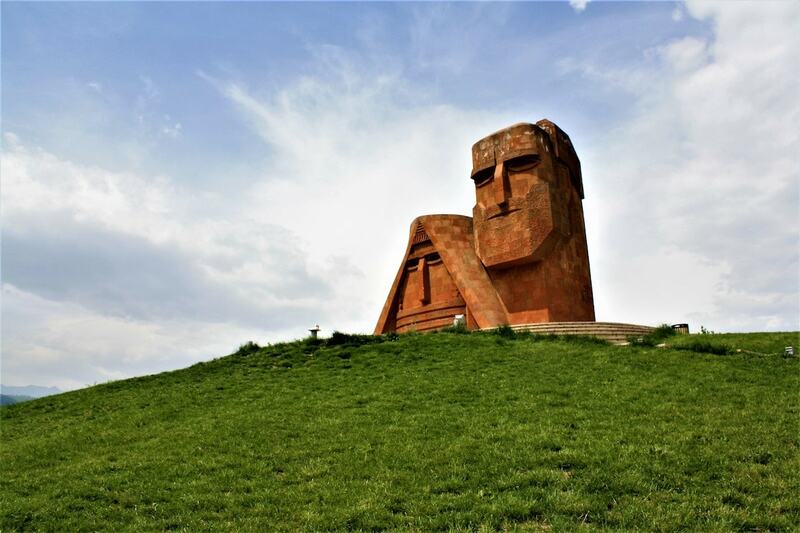 It’s an intriguing place to visit and Stepanakert is the place to begin when travelling to Nagorno-Karabakh. 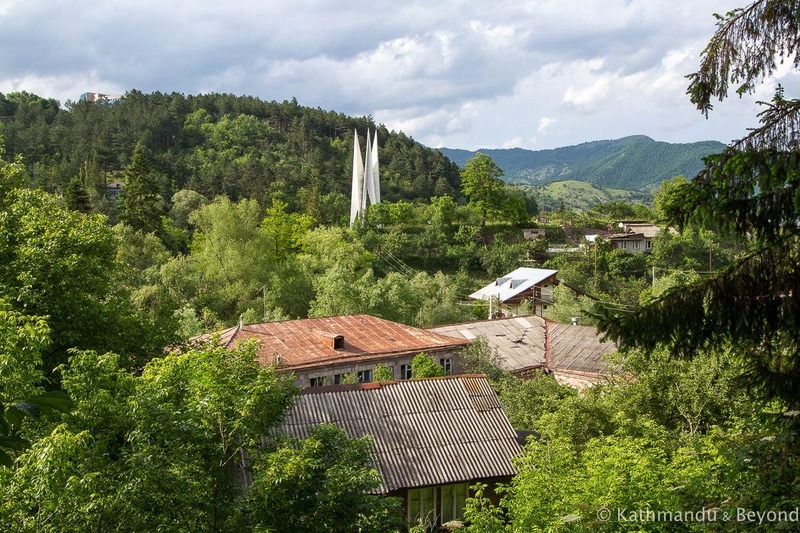 For starters, this is where you’ll need to get your visa, but beyond government bureaucracy, this small city offers an insight into the isolated lives of Karabakh citizens, who are very much cut off from the rest of the world. A spa town and home of a mineral water factory, Jermuk has plenty of posh hotels and wellness centres. It’s the site of the largest waterfall in Armenia, known as the Mermaids Hair Waterfall. It’s reached by a windy road into the river valley followed by a short walk along the riverside. The waterfall runs down into the river and you can climb several metres up the side of it. In the town itself, you can take a walk past the Hyatt Hotel and Verona Resort and fill your water bottles for free from the streams which go into the valley. One spring gives warm water. Not to be missed is a trip to the geysers up in the hills above the town. There are plenty of drivers with 4x4s who will drive you up there. It’s a bumpy journey up rutted tracks, across stony fields and through streams with rocky beds. There are no facilities there, just fresh air, bubbling water, a stream, and trees. The geyser is a pool with a rock in it, and it’s from there that the water bubbles up creating a jacuzzi every few minutes or so. The water wasn’t that warm (compared with Iceland) and it’s rust coloured. You can wild camp nearby, but be aware there may be bears! Armenia could potentially be a real hiking paradise. The country’s mountains are truly stunning. Even after over four years of living in the Caucasus, I sometimes had to pinch myself to make sure I wasn’t dreaming. I loved the mountains, but I couldn’t ever explore them as thoroughly as I wanted to. Why? Well, the answer is simple. 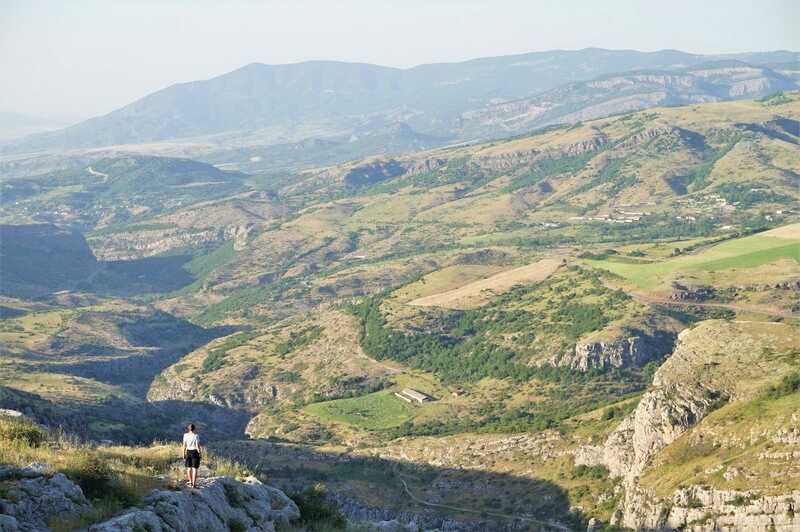 Hiking trails are scarce goods in Armenia. Fortunately, the situation is changing thanks to some NGOs that engage in trail marking. One of them has been active in the Vayots Dzor province. Usually, when you say Vayots Dzor, everyone’s first thought is the Areni wine. As much as I love wine, I promise you there is more to this region. There are two hiking trails I would love to recommend to everyone. I went there twice and only met one (yes, ONE) other person. Both paths start from the village of Artabuynk (formerly named Yeghegis and Alagyaz, both names are still used by locals sometimes). The village isn’t touristy in any way, but there is a campsite at the foot of the hills where the trail starts. I would describe the hike as easy/moderate. The trail is open all year and the signs are very well done. The trip won’t require any special equipment. The beautiful, untouched view on Mt. Tekar and the gorge where the rivers Artabuyn and Yeghegis flow will surely be rewarding. What’s all the hiking for? You will visit Smbataberd, a well-preserved fortress from the 5th century. It has only been captured once since the day it was built! Will you conquer it? Walk on the fortification walls and enjoy the view from each side. Armenia is a country for everyone. The history lover, the nature lover, the food lover, etc. There is no shortage of monasteries and historical sights throughout the country. These are some of the best historical places to visit in Armenia. For those interested in human history, there is no better place in Armenia than the Areni caves. Home one of the oldest known wineries in the world, the earliest known leather shoe, one of the oldest surviving brains, and a 6,000-year-old straw skirt (talk about well-made clothing), this cave complex offers a fascinating look into the lives of people during the Bronze Age. Digging began in 2007 and continues to this day. 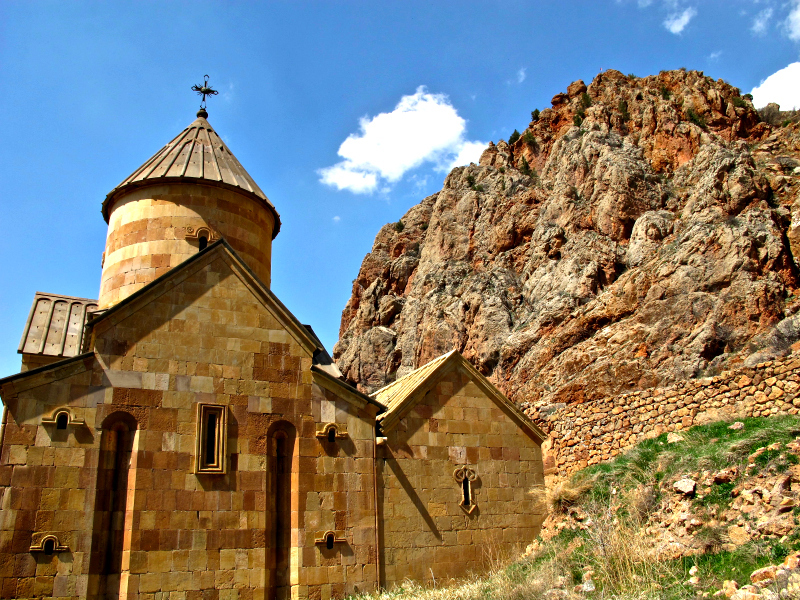 The caves are best visited from Yeghegnadzor and are best combined with visiting the nearby Noravank Monastery. 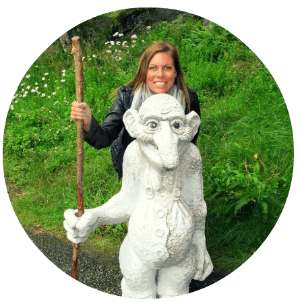 Public transport is erratic, so it’s best to hire a taxi or hitchhike to the cave. There are no signs to Areni as it’s still a subtle dig site, but the location on Google Maps is correct. Noravank is located in central Vayots Dzor Province, roughly 75 miles southeast of Yerevan in the Amaghu Valley. The complex consists of two churches and a chapel. 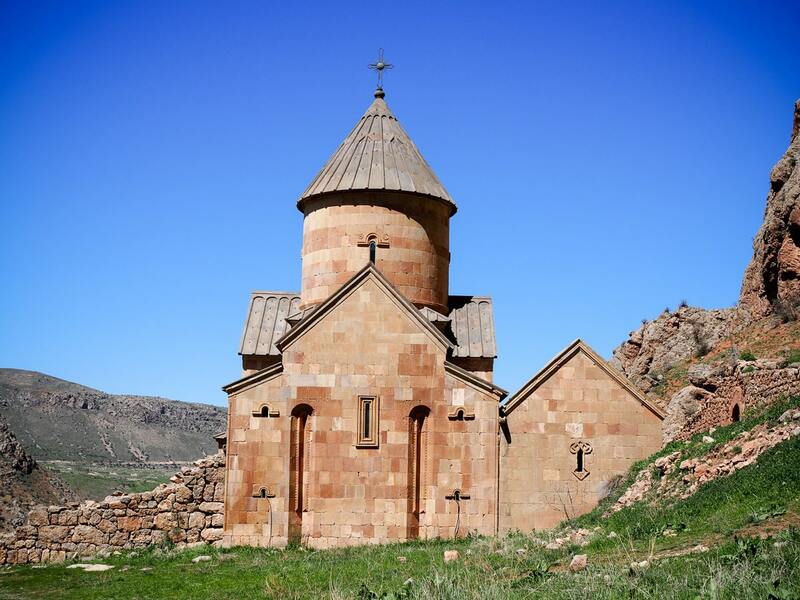 Most noteworthy is the two-story Surb Astvatsatsin (Holy Mother of God) church, with its extravagant carvings. The top level of the building is accessed via a stone staircase embedded in the front façade. With beautiful khachkar cross-stones strewn across lush grounds, Noravank is a lovely place for a stroll. Noravank is interesting because its story of ruin and renewal almost mirrors the history of Armenia as a whole. When the Mongols conquered the country and destroyed most of the churches in the area, they spared Noravank. Allegedly, it was because the engravings depict God with almond-shaped eyes—the familiar Asiatic features inspired enough reverence (or bad juju) to warn them off. 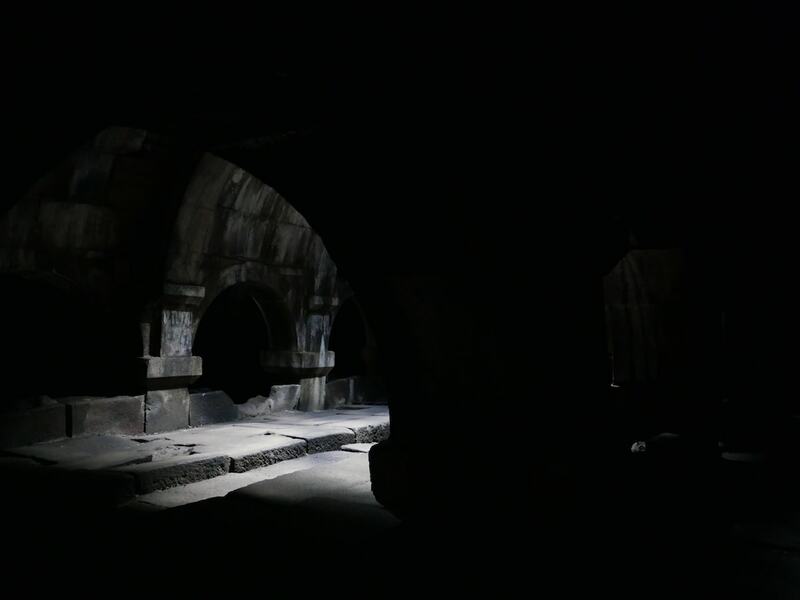 Over the intervening centuries, a series of earthquakes destroyed parts of the Noravank complex. Then, in the 1990s, an American-Armenian benefactor sponsored the restoration of the Surb Karapet (St. John the Baptist) church. Armenia has its fair share of provincial monasteries, but Tatev is an incredibly special one to visit. Built in the 9th century and later serving as both a monastery and a university, the Tatev complex is one of the most historically significant places to visit in Armenia. Located near the Iranian border, the historic Tatev Monastery is a 4.5-hour drive from Yerevan. However, the beautiful, misty mountainside complex, the ancient structures of the monastery, and the stunning views make the long trek worthwhile. A short walk around the grounds will take you to the chapel, a small museum, and a few local stalls selling Armenian goods. In a country with some hundred or so monasteries, you’d be forgiven for thinking that after a while, they all look the same. Not so for Khor Virap, one of the most scenic monasteries in all of Armenia. 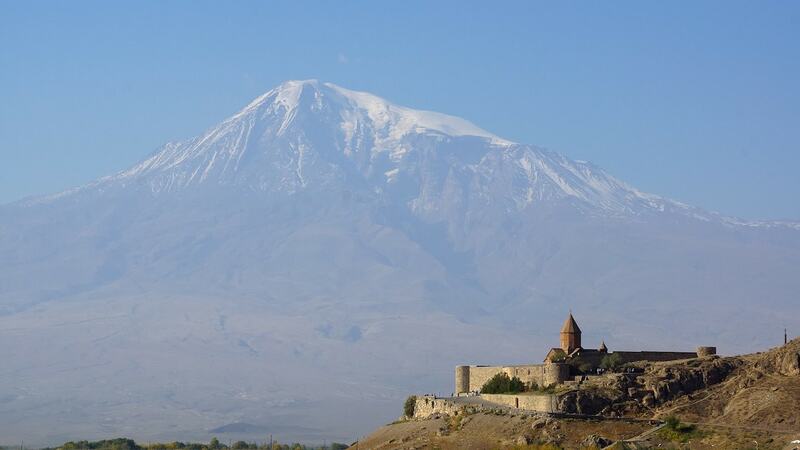 Located about 45 minutes outside of Yerevan, Khor Virap is perhaps best known for its stunning backdrop of Mount Ararat, historically part of Armenia but later annexed by Turkey. Due to its location nearby the (closed) Turkish border, Khor Virap has one of the best views you can get of Mount Ararat within Armenia. The Temple of Garni is an Ionic temple located in Garni, Armenia and is the only colonnaded building in Armenia and the former USSR. It represents pre-Christian Armenia and was likely built in the first century AD. 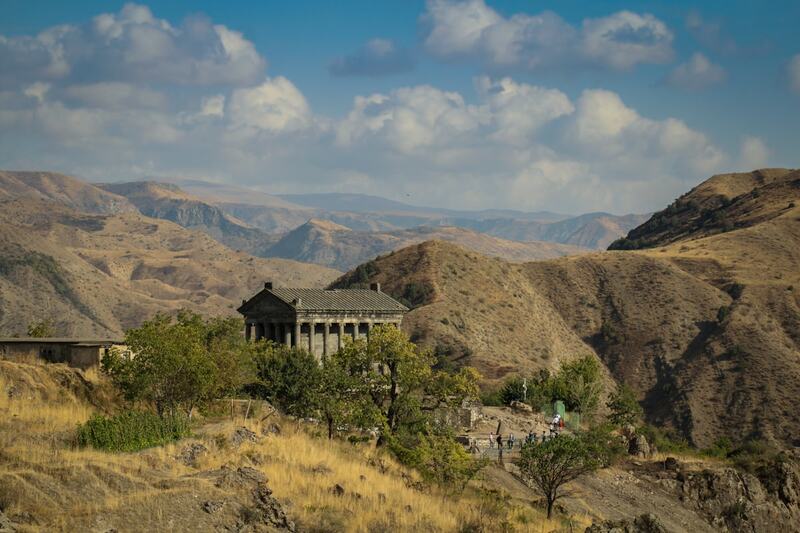 The Temple of Garni is often visited together with Geghard Monastery and it receives over 200,000 visitors annually. An earthquake destroyed the temple in 1679 and it has undergone several facelifts since, including the most recent one in the 1970s. Today, it is one of the most popular tourist sites in Armenia and serves as the central shrine for Armenian Neopaganism. When you are in the area, there’s an abundance of restaurants to eat at and things to do. Be sure to definitely stop by 7 QAR for an absolutely delicious meal with views to kill for. 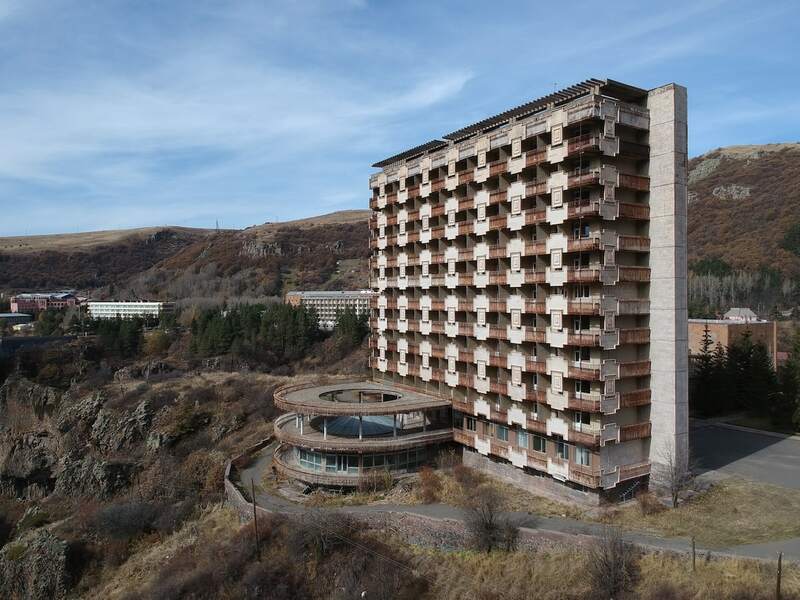 They also have rooms so you can book your stay in Garni with them. Geghard Monastery is a popular day trip from Yerevan. 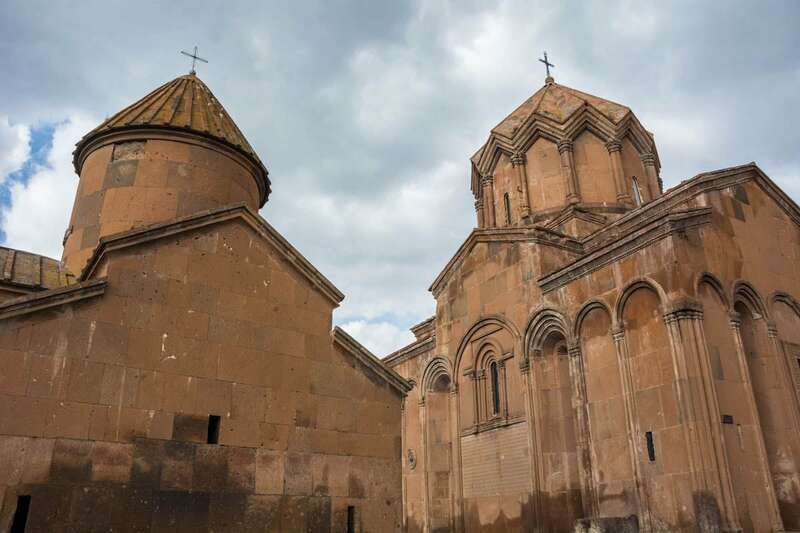 The monastery separates itself from Armenia’s many famous churches by having the distinction of being a UNESCO World Heritage Site in its own right, as opposed to part of a serial site like Armenia’s other entries on the world heritage list. One thing many visitors might not be aware of is that the UNESCO site also includes the Upper Azat Valley, a stunning natural region of lush green cliffs set on grey stone. The cliffs where the monastery is situated has been considered a sacred site since long before the introduction of Christianity to the region. Like many important Christian sites, Geghard was built in a place that was already a Hellenic pilgrimage site. Visitors today do more than just tour the building, they take place in this ancient pilgrimage rituals by drinking or dousing themselves in water that comes into the monastery via a holy spring. The Silk Road, the legendary route from Europe to the far, Far East (and back), is scattered with caravanserais. As the name itself clearly explains, these buildings were meant to operate as shelters for the long caravans of men and animals carrying goods along that wild and harsh path. 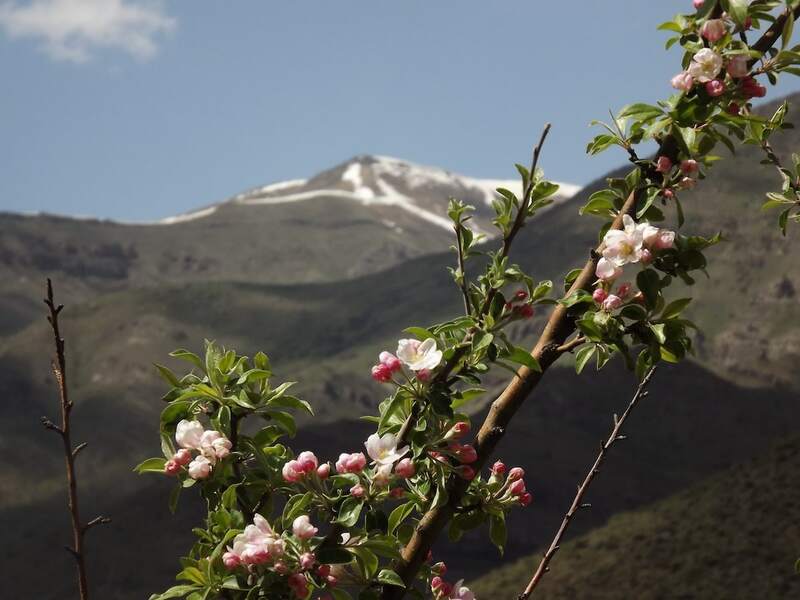 One of the most fascinating, especially due to the astonishing environs, is indeed the Orbelian’s at Vardenyats – aka Selim – Pass in the Armenian Caucasus, at 2410 meters high. This basalt stone building dates back to the early XIV century when the Orbelians were still a powerful caste in the Mongolian Empire. A bull and a winged animal, the family emblems, are depicted on high reliefs on the architrave of the front entry. Badly destroyed between XVI and XVII century, the caravanserai was restored during the Fifties. On the peaks, the panorama is breathtaking. The view from the narrow hairpin bends is nothing short of astonishing. The lavish highland steppe is a sea of velvety green. Another good place to visit in Armenia is the small village of Noratus. It’s not famous for food, wine, or old churches, but rather for its cemetery. Just 1.5 hours from Yerevan, most people go there on a tour, which is usually bundled up with some other attractions like Lake Sevan. Noratus is one of the oldest villages in Armenia, having settlers there dating back to the Middle Ages. 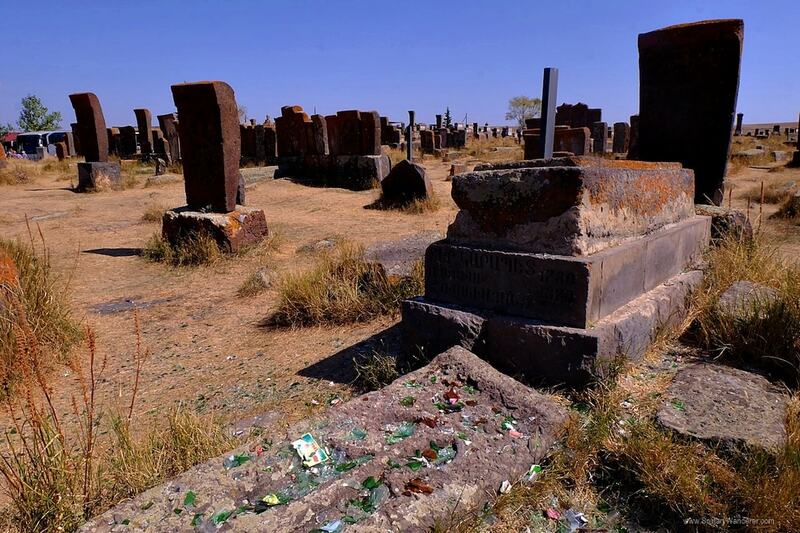 Its cemetery has the biggest number khachkars in the country, and the largest surviving one as the others have been destroyed in the conflict with its neighboring country, Azerbaijan. Khachkars are memorial stones carved with a cross and other designs that represent Medieval Christian Armenian art. Some look simple, while others more elaborate. They are either placed singly or in a group with their families. The Ughtasar Petroglyphs are located in the south of Armenia in the stunning Syunik Province near a town called Sisian. You can locate incredible history all over Armenia, but these petroglyphs are especially remarkable and can be even seen engraved on jewelry, coffee mugs, and pottery. The only bad thing about the petroglyphs is how difficult it is to actually reach them, but perhaps this has been important in keeping them preserved. The petroglyphs are believed to date back to the Paleolithic era and were all carved into the rocks of an extinct volcano, giving them a dark tint. There is still a lot of speculation and confusion about this site today and it is under a lot of research and investigative work to unearth more of its history. The Ughtasar petroglyphs depict hunting scenes, animals, geometric shape, and even some zodiac signs. 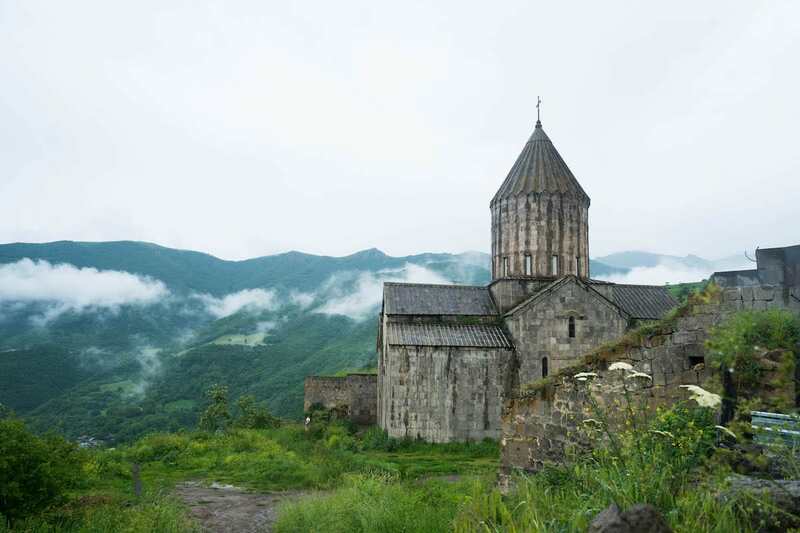 I am not particularly a history enthusiast, so I definitely connect better to nature and Armenia is saturated with breathtaking nature and scenery. It is only a matter of time before the secret is out and people start flocking to the country to check it out and witness it with their own eyes. These are some of the best places for nature in Armenia (and I will undoubtedly be adding to this list as I go back and check out several other places). Sevan is a must visit destination when exploring and touring around Armenia. 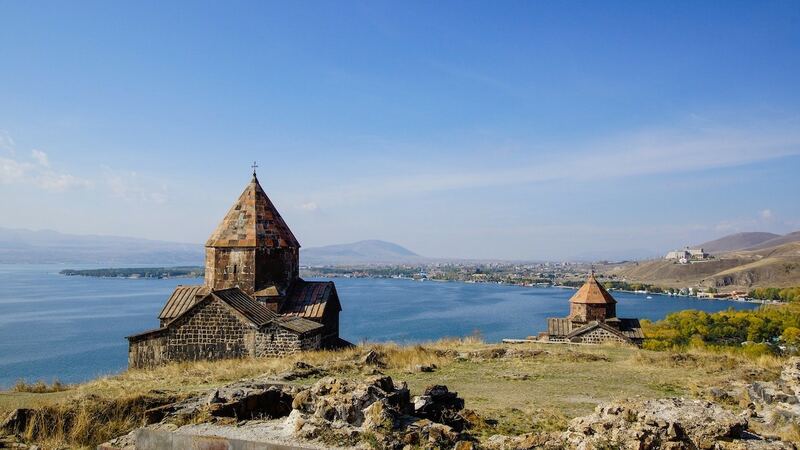 Lake Sevan is one of the star attractions and an incredibly popular destination for Armenians. It’s also home to the Sevanavank, a monastery, and church that was built in the 9th century. There is so much to do at Lake Sevan, not only can you beat the heat in the summertime, it’s beautiful all year round. Popular activities in the area include all kinds of water sports like swimming, surfing or skiing. Delicious fish dinners are a must when visiting the lake also. One of the most famous geological wonders of Armenia is Debed Canyon. The canyon is known just as much for its natural beauty as it is for its extremely important history. Two World Heritage Sites, Haghpat and Sanahin monasteries, are located in and around the canyon as are many other monasteries. The area is also littered with khachkars, or Armenian memorial stones that are ornately carved. Debed Canyon is a very well-known attraction in northern Armenia’s Lori Province and there is also a very noticeable Soviet history still lingering, particularly in Alaverdi. Dilijan, 100km northeast of Yerevan, is the greenest place we have been in Armenia. This small town is surrounded by lush vegetation and alpine forest and is a great place to kick back for a day or two. The highlight for many is the nearby 13th-century Haghartsin Monastery, which can be reached either by taxi or a combination of hitching and hiking, but we also found plenty to occupy us in the vicinity of the town itself. Azhdahak is a volcano and the third highest mountain in Armenia. As the highest point of the Gegham Mountains, the volcano is 3597 meters above sea level and last erupted somewhere around 1900 BC. These days, Azhdahak is a popular tourist spot for adventurers and trekkers. 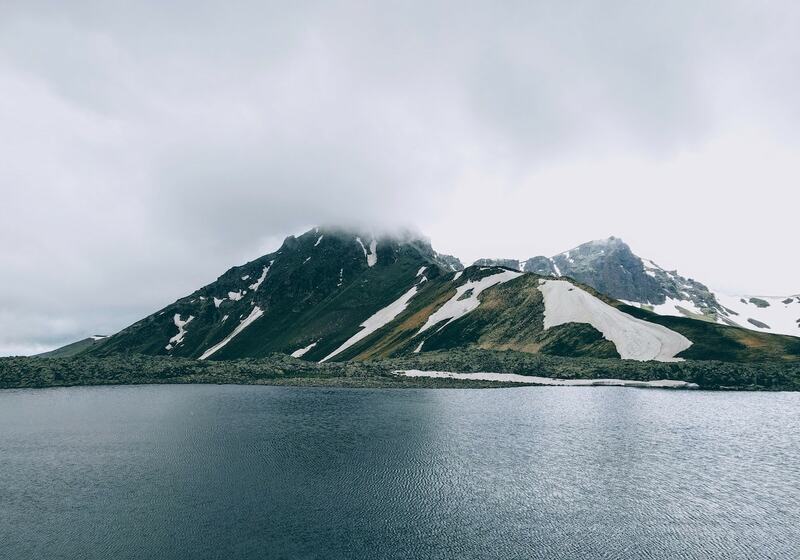 The Armenian highlands mountain has a lake on top that is the result of melted snow. Perhaps one of the coolest things about this peak is that you can see so much of Armenia from its top. If you climb Azhdahak, you can see Ararat, Hatis, Ara, Aragats, and Lake Sevan. Not only are the views worth writing home about, but the wildlife is also pretty remarkable. You can find over 250 species of birds on Azhdahak, including several species of eagles and vultures. The brown bear also lurks in the region. Nowadays, you can enjoy the scenery and wildlife by embarking on one of the many hikes available. There are also petroglyphs nearby to cater to the history lover. In Northeast Armenia’s Tavush Province, you will find Lastiver Cave. The cave is located in the gorge of the Khachaghpyar River which is about 3 kilometers from Yenokavan. The cave has been a natural wonder for a very long time, but the cave is also known for its role during the Tatar-Mongol invasion in the 13th and 14th centuries. During this invasion, locals took refuge inside of the cave and it became their natural home. 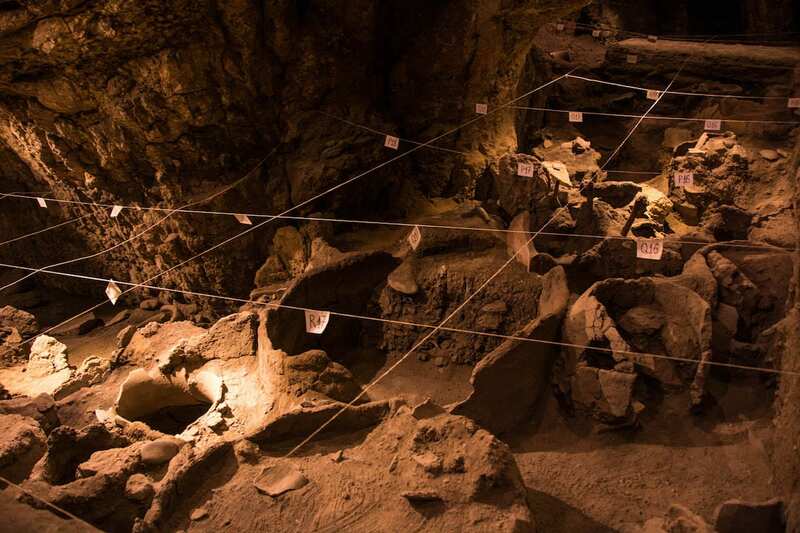 Today, the cave is extremely well-preserved and is 10-30 meters long and 15 meters wide. The cave is merely one of the many natural wonders of the area. Aside from the gorge, river, and cave, you will also find waterfalls and rapids. There is a campground located close by that can be used as the perfect launchpad for exploring the local sights and nature. Looking for something a little different to visit in Armenia? 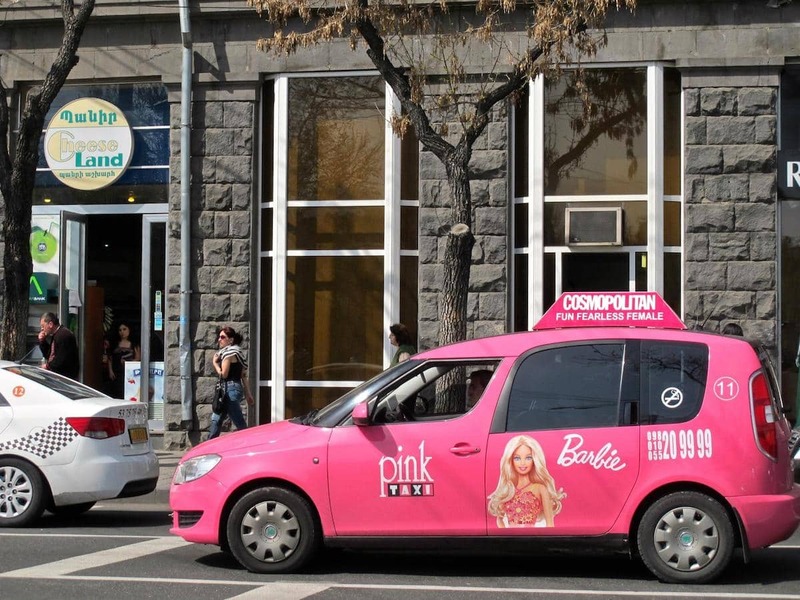 There are many options, but these two places were recommended by other bloggers as places worthy of visiting while in Armenia. 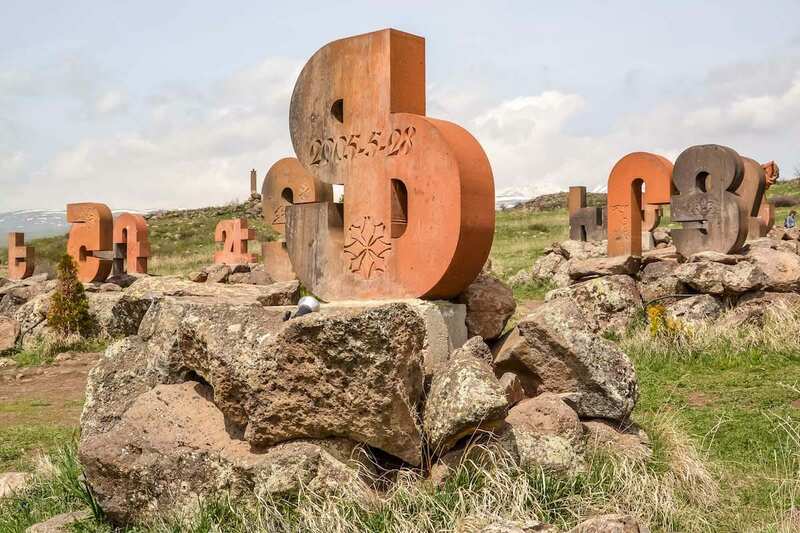 As you might know, Armenia has its own alphabet. It was created by Mesrop Mashtots in the year 405 AD and it consists of 38 really beautiful letters. 1600 years later a monument commemorating the unique alphabet was made. Carved letters and the statue of Mesrop Mashtots now stand proudly in the middle of nowhere, on the side of the road north from Yerevan, connecting the capital with Vanadzor, Alaverdi, and Georgia. Since childhood, I have been fascinated by the night sky and all its wonders. I had always wanted to study astronomy, but was horrible in math and went into the social sciences field instead. However, when I read about the Byurakan Observatory in Armenia, I knew I wanted to go there. It was one of the most important sites for astrophysical research during the Soviet era with at that time the largest telescopes in the USSR. Even today, it remains the regional astronomical centre for Southwestern and Central Asia. There are several travel agencies in Yerevan offering tours in the evening when the observatory gives small tours and lets you watch through one of their telescopes. Otherwise, you can take a bus to Byurakan village, only 40 minutes away from Yerevan. Thank you so much for, this is a very good post with great information and stunning photographs which you had been posted is also very attractive. I feel this very effective post and tourist must read it.